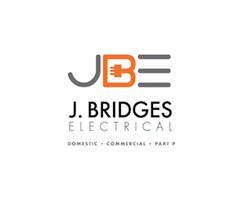 J Bridges Electrical - Electrician based in Weybridge, Surrey. J Bridges Electrical Ltd are based in Weybridge Surrey. At J Bridges Electrical Ltd we offer a friendly and reliable service across Surrey, London and the home counties. All our work is guaranteed and always carried out to current British Standard wiring regulations (BS:7671). We are a proud member of the NICEIC Approved Contractor Scheme and can self certify all works to Part P of building control including domestic and commercial works. Relying on over 10 years experience we pride ourselves on quality workmanship coupled with excellent customer service.